Simple and delicious! Perfect for the holidays! This Crockpot Cranberry Sauce recipe is one of the easiest things you will ever make in a slow cooker! Hubby laughed at me today and said I must be on a mission to cook an entire thanksgiving dinner in the Crockpot. He is catching on. I will actually have a full Thanksgiving Crock Pot Menu for you later in the week. 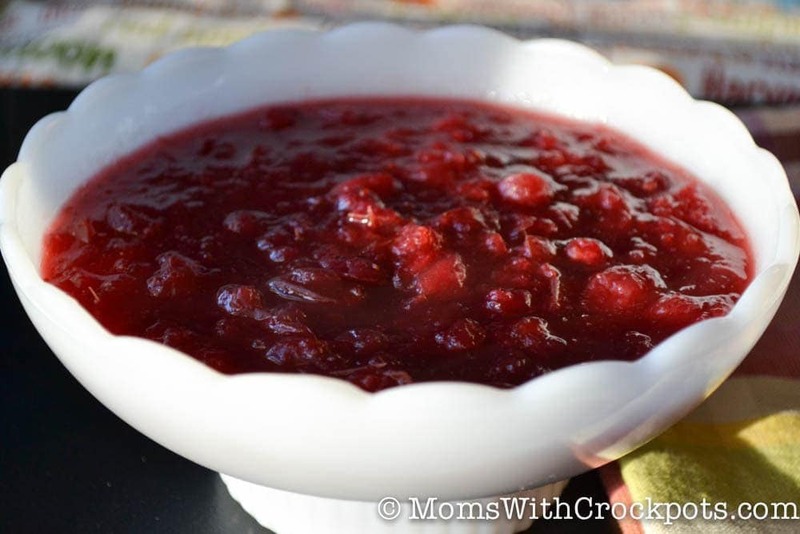 Today’s recipe is this amazing and super easy Crockpot Cranberry Sauce. You will never buy canned cranberries again! EVER! This is best made in a small 4 quart crockpot like this one. 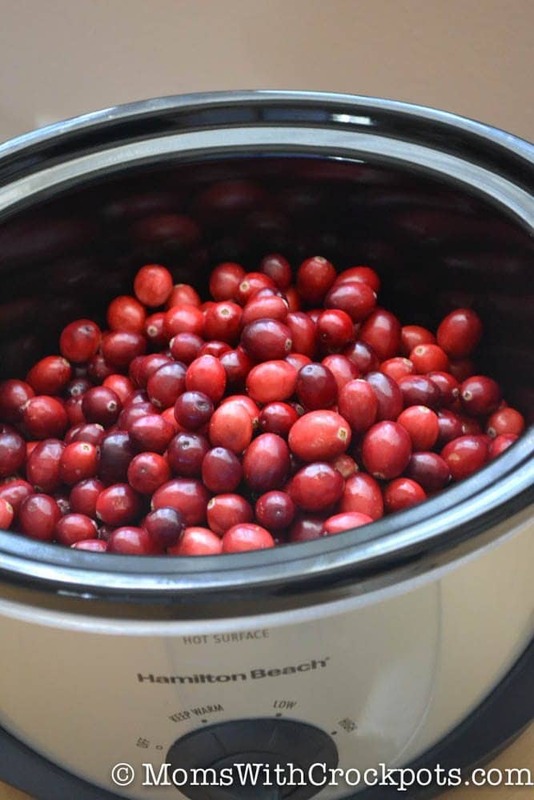 Combine cranberries with sugar and orange juice in small crock pot. I used a a 4 qt and doubled the recipe. Cover and cook on high 2 to 3 hours until cranberries begin to pop. Serve with turkey, pork, or chicken. Can you make this ahead of time and refridgerate? Would you serve hot or cold?